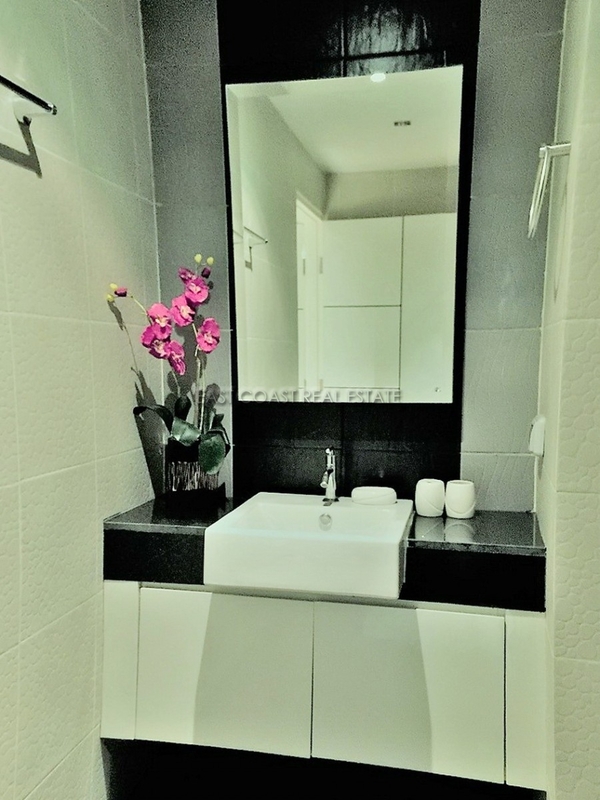 This is a boutique style condominium complex located in East Pattaya, on Soi Sukhumvit 87. It is a short drive from Sukhumvit road and has easy access to Jomtien as well as the Bypass road, and local amenities. This Two bedrooms unit has been furnished and fitted to modern standard. It is on the 8th floor and is bright and airy. The apartment is fully furnished and has free Cable TV and WIFI connection. The building has good facilities such as 24 hour security, air conditioned lobby area, key card access, car parking, gym and large communal swimming pool. available for rent and for sale with title deed held under Thai Name and transfer fees split 50/50.